Questions about Kichler Lighting 2771NI? Neither flamboyant nor gaudy, the Dover Collection looks to simple forms in order to match a broad array of styles and colors. The clean lines on Dover fixtures flow into abundant curves almost seamlessly. This family features our Brushed Nickel finish to provide a classic look. Because of its all purpose style, the Dover Collection offers a wide arrangement of chandeliers, pendants, and wall sconces ensuring that no matter if it's for your ceilings or walls, there is something for every room in your home. 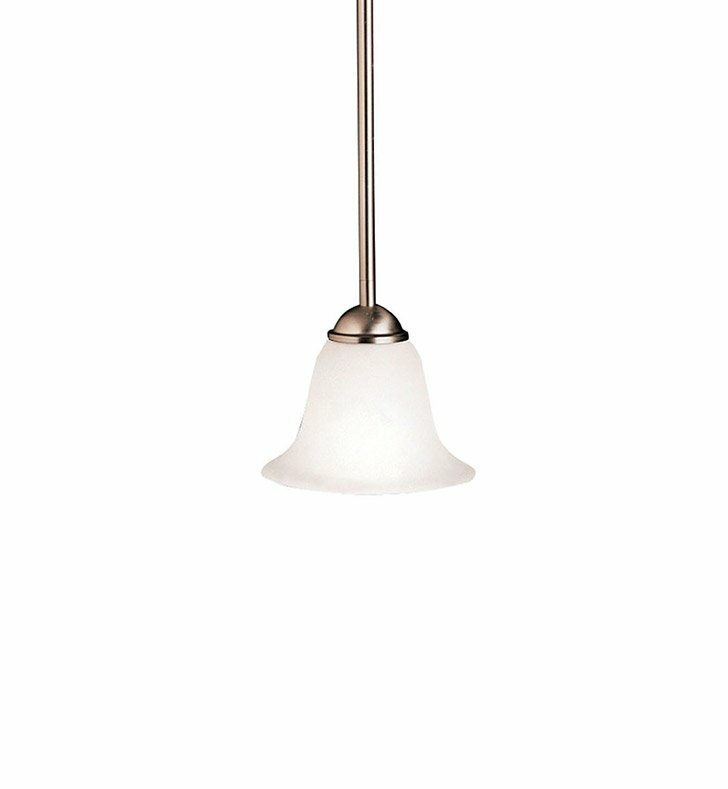 This 1 light mini pendant adds the perfect accent touch to any room where more light is needed. It features an etched seedy glass shade and a simple design that goes with any decor. Dimensions: H 11 1/2" x W 6 1/2"